Found this strange object on the beach at Jellison’s Cove this morning while foraging seaweed. 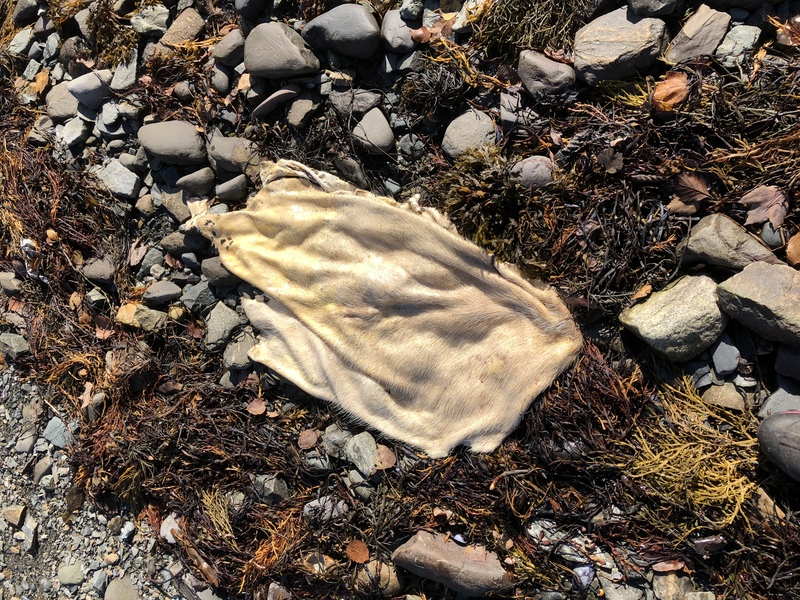 My best guess is a sealskin? It was lightly hairy and quite thick, but very clean like it had been scraped of flesh. I imagined I could see parts of the seal’s face, like a nose, but I didn’t look too closely. I left it there. And left my gloves there too (cowhide). Will see if both are there when I go back. Sudden flurry of posting is because I downloaded the WordPress mobile app which makes it easy to post from my iPhone. It was too much effort to post from my laptop using a hot spot.